If you break down your home networking system into components, the first would be your internet service or broadband. The second piece is your modem device. Third is your router, and fourth is your computer or phone. Internet data comes into your home via wires. This comes through your modem, which translates the packets into what you see on your devices, like computers, phones and TVs. A router either connects to your modem via wires, or it may be built right into the modem. The router’s function then is to send information from the Internet wirelessly to all devices in your home, like phones, tablets, gaming consoles, computers and more. In other words, when you connect to Wi-Fi, you’re really connecting to a router. Some routers offer dual-band Wi-Fi which essentially creates two subnetworks that operate on different frequencies: 2.4 gigahertz (GHz) and 5 GHz. 5 GHz connections offer higher performance, making it ideal for online gaming and streaming, while 2.4 GHz provides better Wi-Fi range throughout the household. 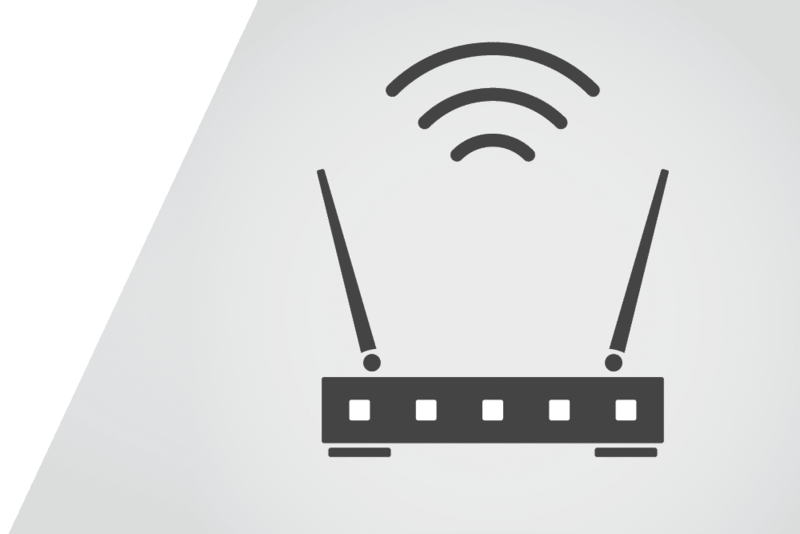 Routers that feature “band-steering” look at the devices on the network and guide the older, slower devices to the 2.4 GHz connection and the newer, faster devices to the 5 GHz connection. Outside of allowing multiple devices to access your network, routers provide additional security and sharing opportunities within your home network. Creating a guest network through your router gives visiting friends and family access to the internet while restricting access to your primary home network. In the same vein, some routers allow you to set up parental controls or access restrictions that block certain sites or restrict the time/hours that a child can be online. Routers also enable file sharing among the devices connected to your home network. This allows you to print documents from your phone or computer to a Wi-Fi-enabled printer or transfer photos from your phone to your computer with ease. Many internet service providers will rent routers and other devices to their subscribers for a monthly fee. This is a convenient option for those who are looking for a simple home network solution. You may get better technical support from your ISP if you use their router as well. On the other hand, owning your own router may allow you to personalize your experience based on your needs and preferences for a single payment, which could save you money in the long run and allow you to upgrade your router whenever you want.